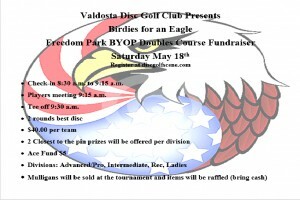 This tournament is being hosted as a fundraiser to complete and EAGLE Scout project. The project has added four holes to the Freedom Park Disc Golf Course. Proceeds raised from this tournament will be used to purchase four additional baskets. Mulligans for sale at the tournament. Every player will get to pick from a disc or shirt for signing up. 1/3 of each field will be paid out. 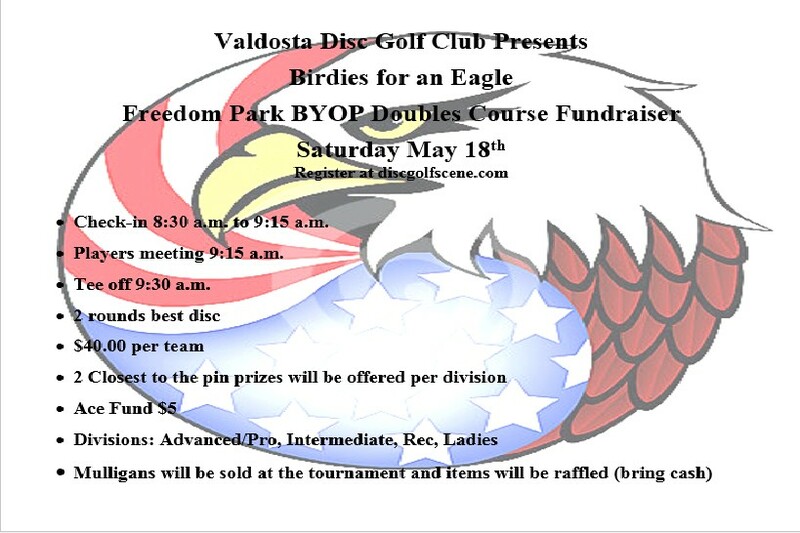 Valdosta Disc Golf Association is responsible for all refunds/cancelations.